Public can learn about flower arrangement and corsage making in a fun way at Itoman Road Station “Yukura” weekend events. This weekend and the next two are promising to be special at Itoman Road Station Yukura, where operators are staging a set of five different experiences for visitors. 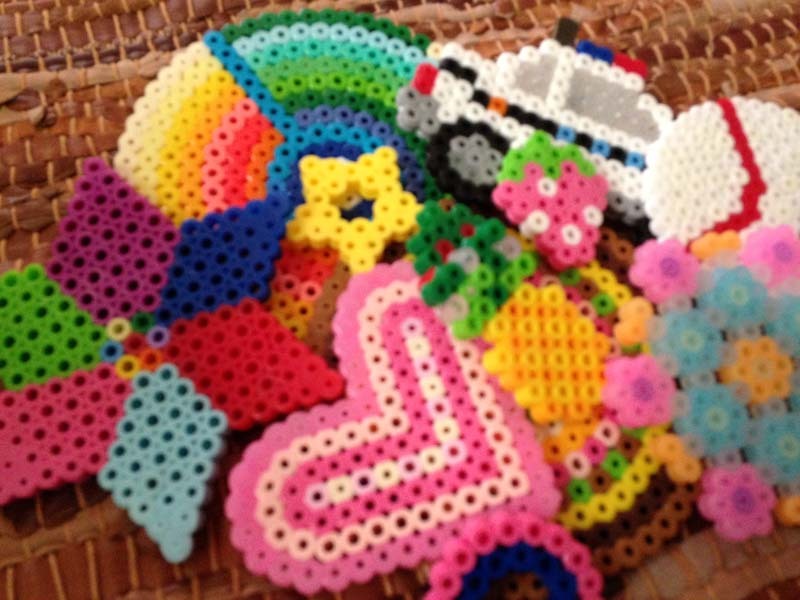 The courses also include creating iron beads and various decorations. This weekend’s Original Flower Arrangement Corsage & Iron Beads Making Experience Workshop runs Friday through Sunday, 10 a.m. ~ 6 p.m. Admission is ¥300, and is open to everyone. Even children under age six can participate when with a parent or guardian. All classes through the month take place at Road Station Itoman Yukura, 4-19-1 Nishizaki-cho, Itoman city. The various experience events administered by “Road Station Itoman” during August are suitable for kids enjoying summer vacation. Since it is not necessary to reserve these sessions in advance, they are the events in which anyone can participate on a walk-in / drive-in basis. 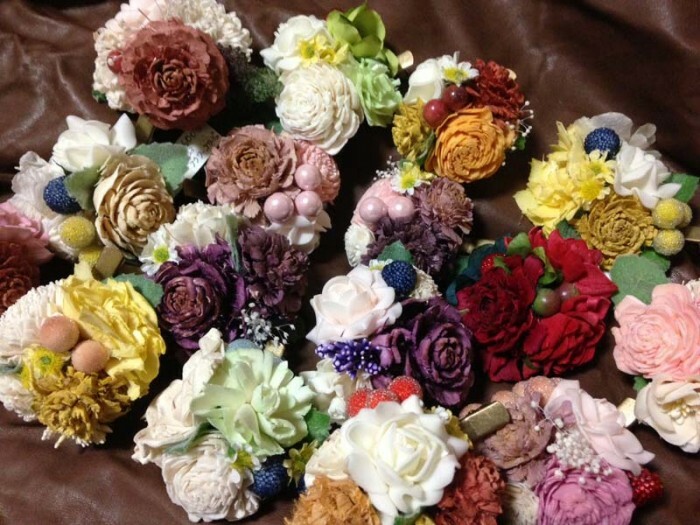 They are workshops in which a participant can choose the flower of a favorite color and can make an original corsage, the workshop to make the cute ornament using colorful clay, and other materials. are inexpensive. Hands-on experience classes in Making Clay Objects for Kids’ Summer Vacation are being offered this Saturday and again next Saturday. Classes begin at 10:30~a.m., 11:30~a.m., 1~ p.m., 2~ p.m., 3~ p.m., and 4~ p.m. Admission is ¥500 per object created. Participants must be four years of age or older. Shisa, making the capacity of a single day 15 objects. The Itoman Road Station is conducting a Sand Star Bottle Making Experience Workshop on Saturday the 25th, from 1 p.m. ~ 4 p.m. Participation / Admission fee is ¥100 per object created. Instructors say it takes about 10 minutes to make a single object. Eco Craft Accessory Cases & Hair Accessories of Walnut Button classes will be offered on Friday, August 30th through Sunday, September 1st, from 10 a.m. ~ 6 p.m. Admission / Participation fee is ¥300 per object created. Children under age five may participate if accompanied by a parent or guardian.